Today we left Lugano & passed thru the Italian border into Itay. We ate Lunch at Milan & then went to see the marvelous Cathedral then to the small chapel where the ‘Last Supper’ is . It is gorgeous. 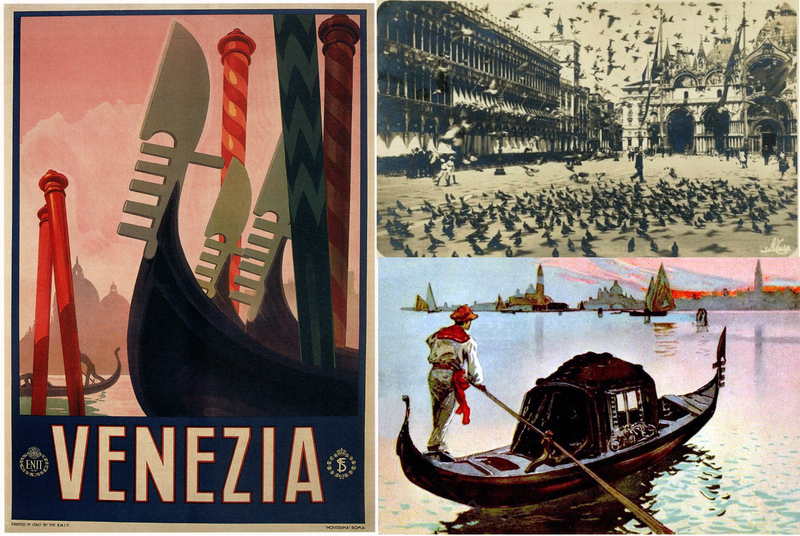 Then catching the train again we went to Venice. After a hectic hot ride we arrived in Venice at 8.30. 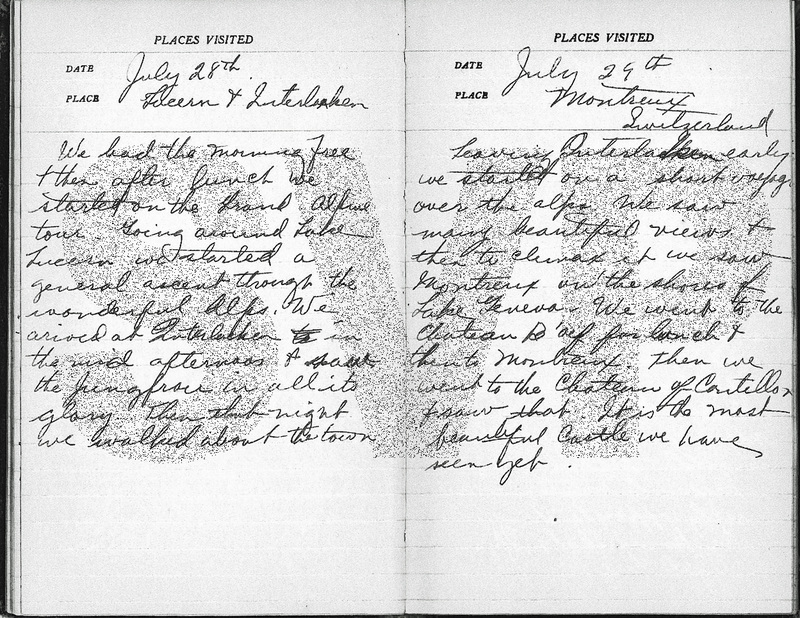 We had a miserable hotel far from the heart of town & had Supper there. Went for a gondola ride after & heard the music boats. Sleeping almost impossible on account of heat. US baseball star Babe Ruth hits his 42nd home run and is four weeks ahead of his 1927 pace. He ended the season with 54 home runs, which would be the fourth (and last) time he hit 50 home runs in a season. In October, Ruth and the New York Yankees had a World Series rematch with Vincent’s home team, the St Louis Cardinals, who had upset them in the 1926 series. The Yankees demolished the Cards in four games. Today was unbearably hot and they picked a walking tour around the city. Hardly anybody went. Helen, Lucy, Elizabeth & I went downtown alone. Some-body invited us to the glass factory, it was very interesting & then they took us to see how they made lace. Then we went in St Marks which is very ornate, but beautiful & saw the stone on which the transfiguration took place & another on which St John was beheaded. Saw Madonna of the Golden Foot. This afternoon we went in Gondolas to the Cathedral where Titian is buried & there Canova is also. Titan’s Assumption is there & Donelli’s Madonna two of the most beautiful in the world . Another moonlit evening in gondalas. Italy’s fascist prime minister Benito Mussolini signs peace treaty with Abyssinia (Ethiopia). 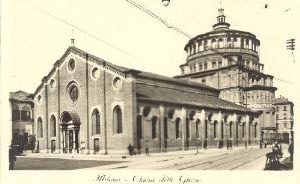 The 15-century church and Dominican convent of Santa Maria delle Grazie (Holy Mary of Grace) is a UNESCO World Heritage sites. 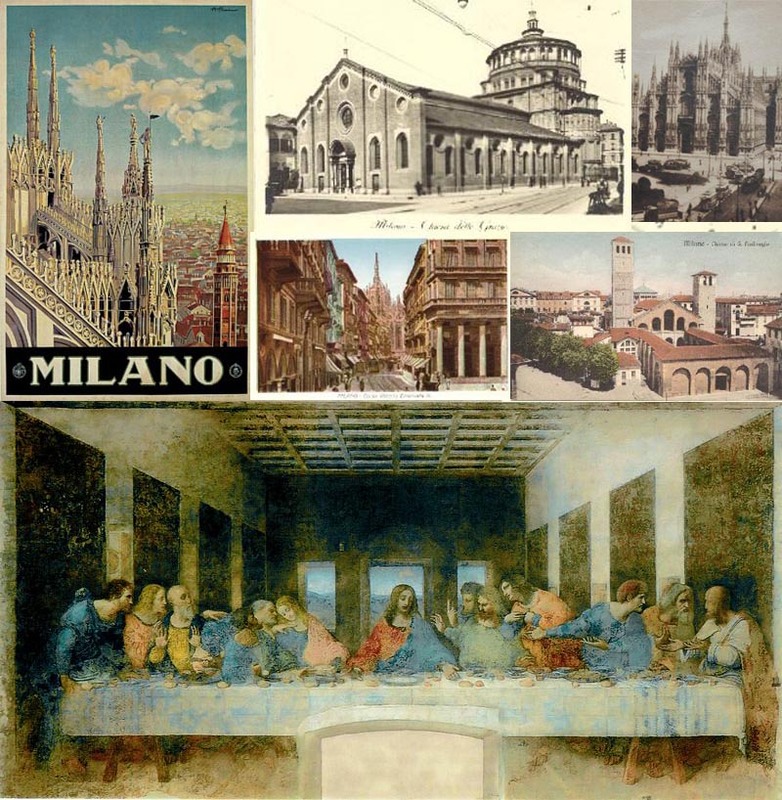 The church contains the mural of The Last Supper by Leonardo da Vinci, which is in the refectory of the convent. Vincent is talking about St Mary of the Friars (Santa Maria dei Frari). 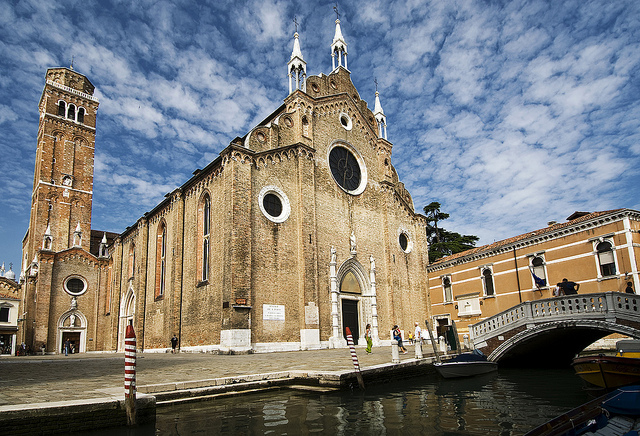 This 13th-century church is one of the finest in venice, housing many masterpieces of Venetian Renaissance art, notably Giovanni Bellini’s triptych Madonna and Child with Saints, and the Pesaro Madonna by Titian, who is buried in the church. Today we arose early to go up the steep ascent of the Rhone Glacier. We ate lunch in a quaint little town called Brig and continuing on our way we climbed to the highest point of the Glacier about 10,724ft. Then we proceeded to Furka pass . 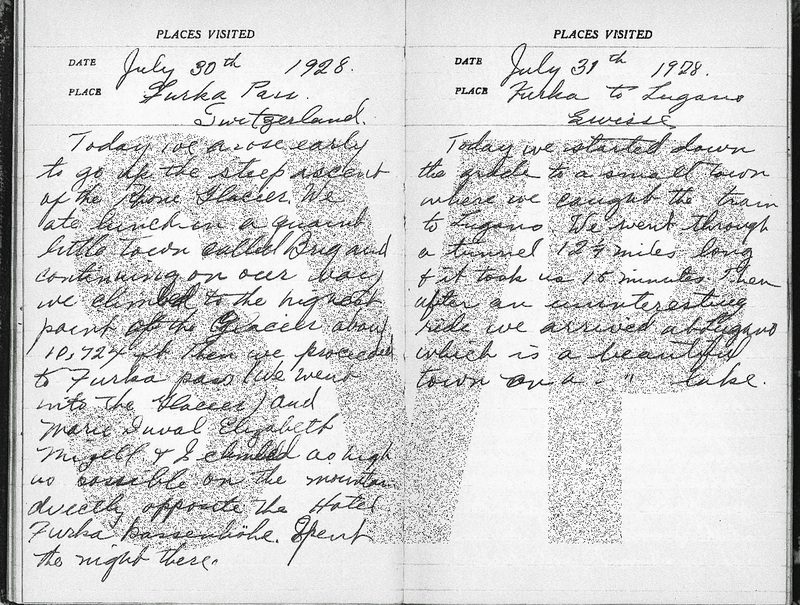 We went into the Glacier and Marie Duval and Elizabeth Mizell & I climbed as high as possible on the mountain directly opposite the Hotel Furka Passenhöhe. Spent the night there. George Eastman, the US innovator and entrepreneur who founded the Eastman Kodak company (1888) and popularised roll film, shows the first colour motion pictures in the US. 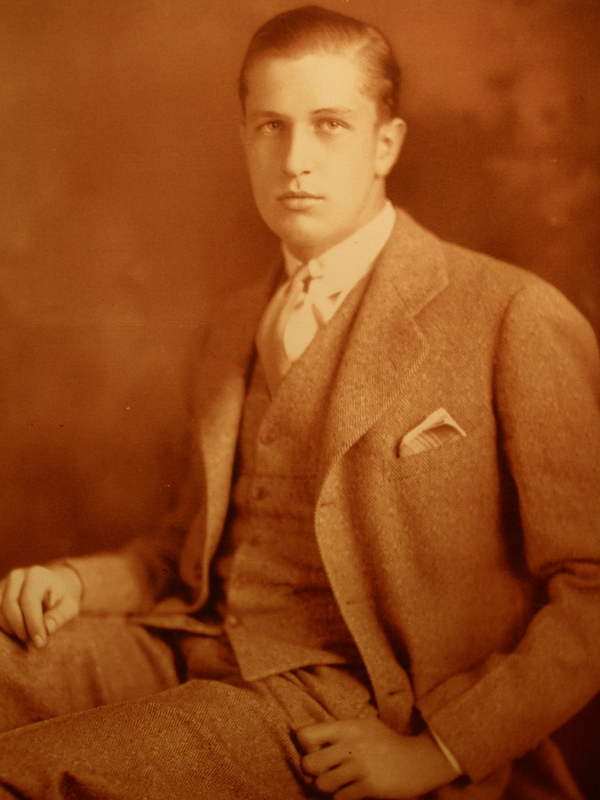 Eastman killed himself on 14 March 1932, as he was suffering chronic pain due to a spine illness. 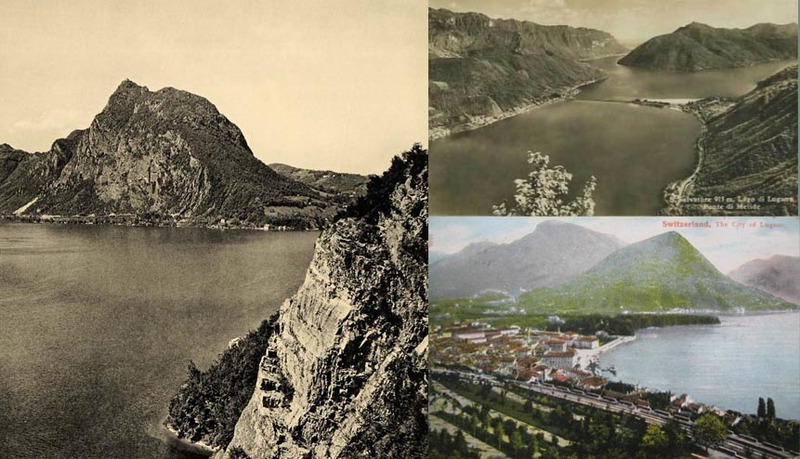 Today we started down the grade to a small town where we caught the train to Lugano. We went through a tunnel 12 1/4 miles long & it took us 15 minutes. Then after an uninteresting ride we arrived at Lugano which is a beautiful town on a [beautiful] lake. Halina Konopacka of Poland becomes the first woman to win a track and field Olympic gold medal (Amsterdam). The Furka Pass ls part of the popular three-passes trip over the Furka, Grimsel and Susten. Coming from central Switzerland, you begin the climb over the Furka Pass at the village of Realp. The road continues around a series of hairpin bends up to the pass head at 2431m altitude. 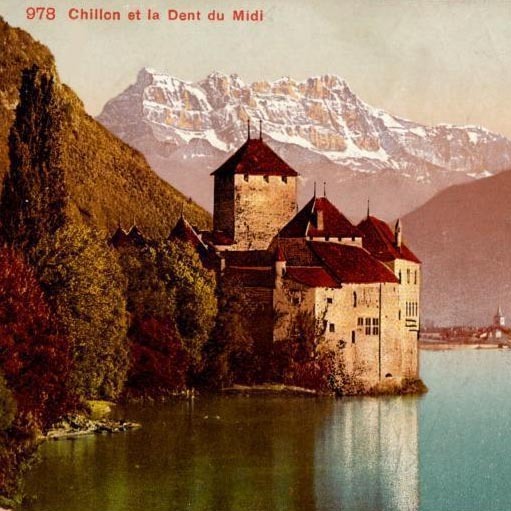 On the Valais side, after about three kilometres, you reach the 1907-built Hotel Bélvèdere where the view opens up to the Rhone Glacier, the largest glacier in the Urner Alps and the source of the Rhone river. 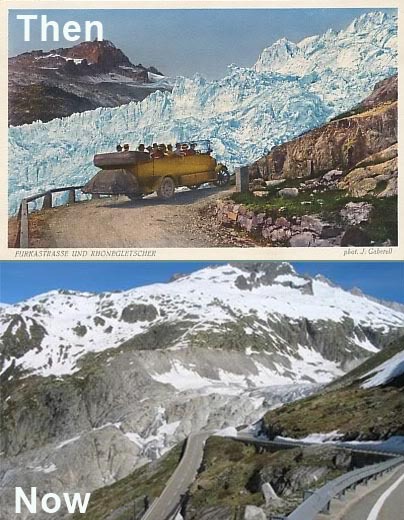 In 1850, the glacier swept down to the valley floor but it has lost some 1300m over the past 120 years. This is where you can take a detour to the ice grotto, which is re-cut into the glacier each year. The road continues to wind down to Gletsch at 1759m altitude, where you can find the Furka steam railway (which operates during the summer months) and the Grand Hotel Glacier du Rhône, the same kind of hotel that Vincent’s tour group would have stayed at. We arose early & after breakfast we went by bus through the Black forest which is in Germany. We saw a great part of it & it was very stupendous. 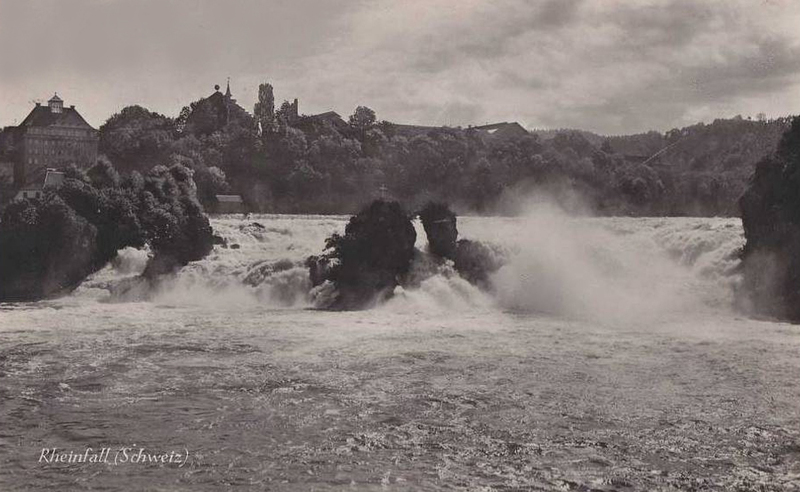 Had lunch on the Rhine Falls & I have never eaten which such a gorgeous view before me before. 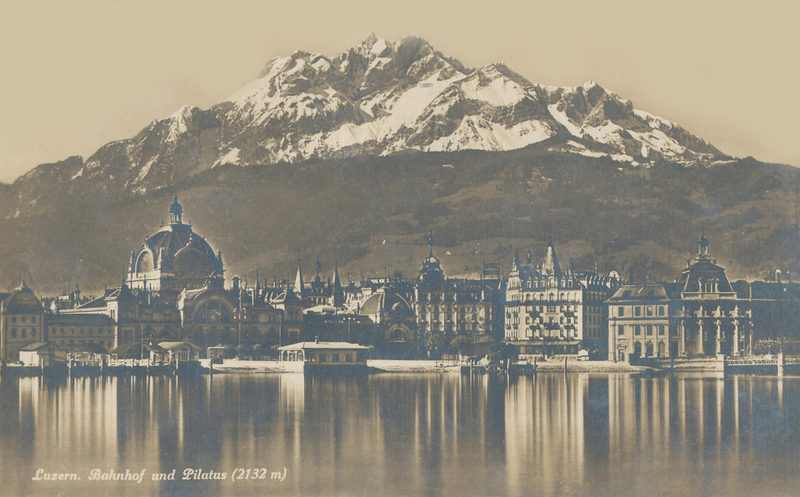 Going through Zurich & past the Lake Zug we arrived at Lucerne in time for me to have a swim. 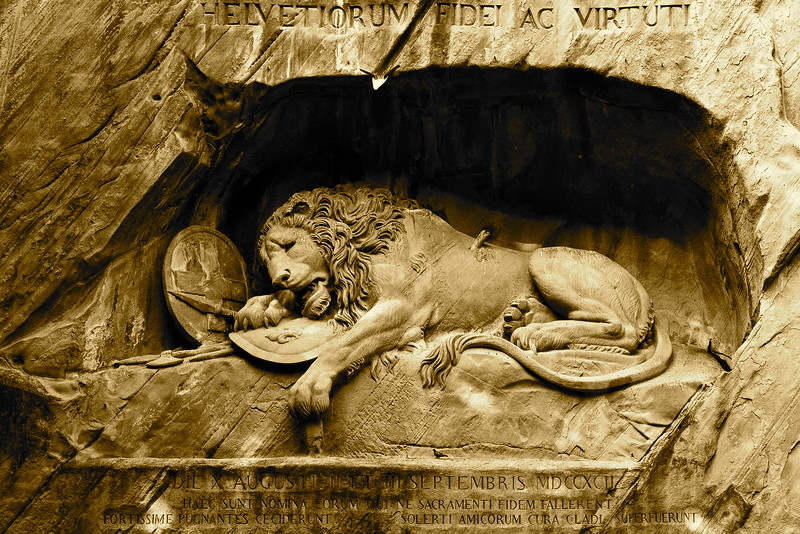 we went to see the Lion of Lucern by light & it is far more beautiful than I expected. We had the whole day free & I went to get some movies with my camera. Went swimming & enjoyed it ever so much. Our hotel the Palace was one of the 3 best in the city. Tonight we went to a real Swiss Theatre where there was much yoodiling  & singing it was fine. Never saw such beautiful shops in my life. One of the longest-running traditional yodeling groups in Switzerland is the New Glarus Jodlerklub, which made its first appearance in August 1928 at Volksfest, a celebration of the country’s independence which is still held in the first weekend of August. The club’s counterpart was the New Glarus Maennerchor which was started in 1912 and sang four-part harmony of Swiss and German hymns and folksongs. For more information on the group, check out their official website (here). Left this morning to go up the Rhine to Wiesbaden . We had a very good day & what we saw was almost indiscribable it was very historic & Beautiful. 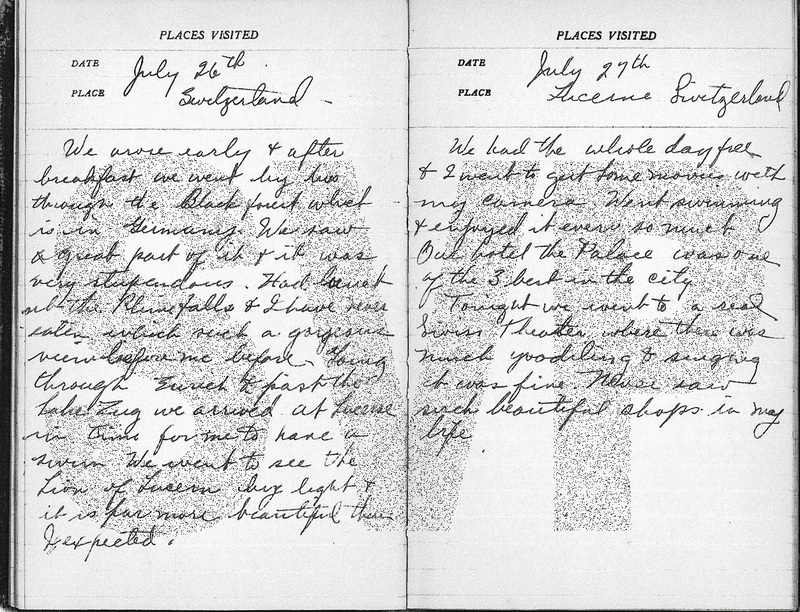 We saw all the famous Castles & the Lorelei rock . 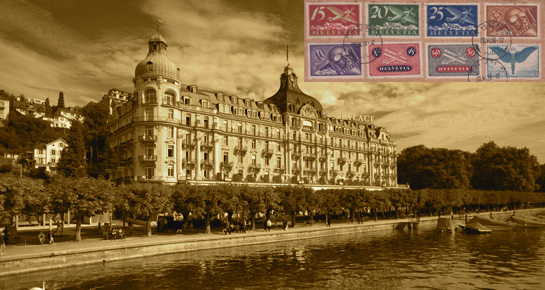 On arriving at Wiesbaden we went to the Hotel Metropole a very nice place (I fell in love with a sweet girl from Georgia. Lucy) Ole Sweetness. 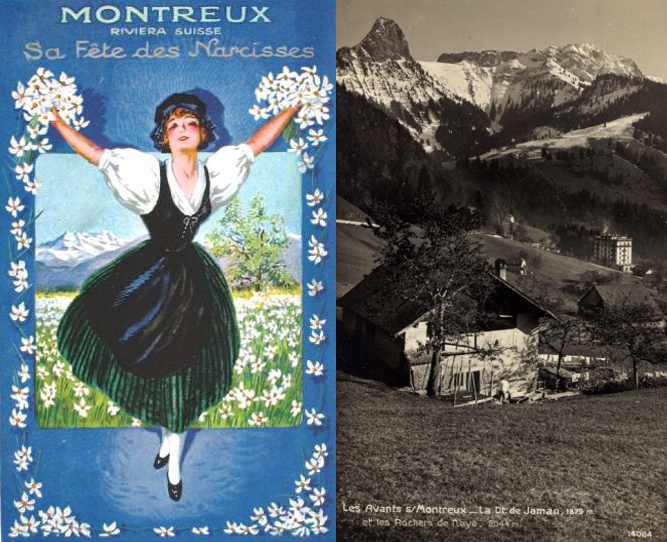 We had an uneventful trip from Wiesbaden, Germany to Basel, Switzerland going thru a part of the Black forest except that Marie Duval was knocked on the head by a few suit cases. Arrived at Basel staying at the Hotel Hofer. After World War I, Wiesbaden fell under the Allied occupation of the Rhineland and was occupied by the French army in 1918. In 1921, the Wiesbaden Agreement on German reparations to France was signed in the city. 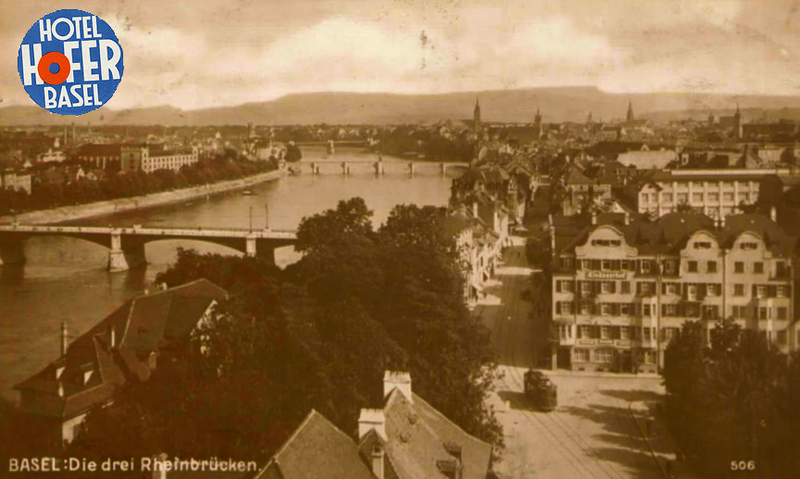 In 1925, Wiesbaden became the headquarters of the British Rhine Army until the withdrawal of occupying forces from the Rhineland in 1930. 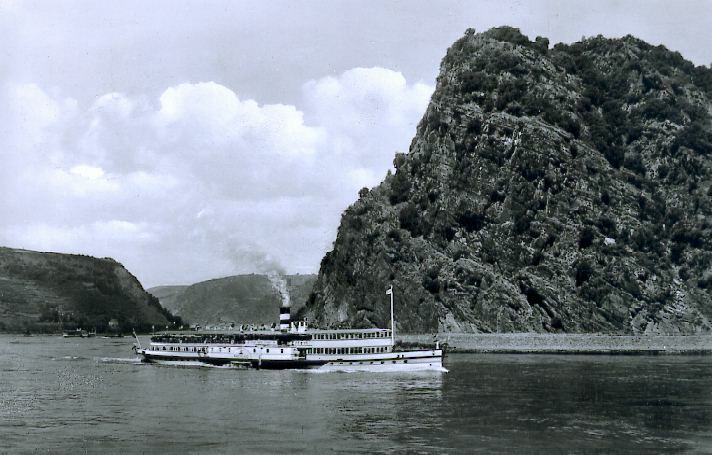 Steam boats have been cruising past the iconic Lorelei rock on the Rhine since 1826, with the earliest trials dating back to 1816. 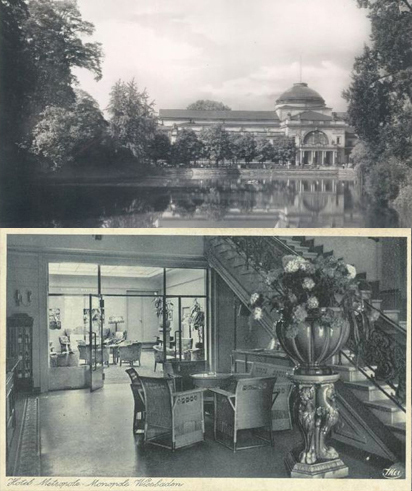 From 1927, Dutch and German services began operating in co-operation. 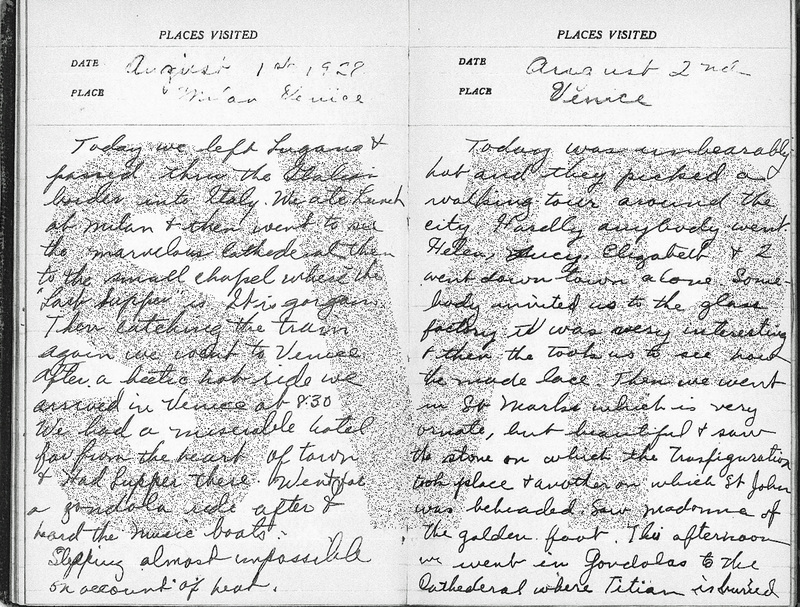 But in World War II, many of the boats were destroyed. Three large ships survived: Goethe (1913), Rheinland (1926-1981) – pictured here – and Mainz (1929-1980), and continued operating after being rebuilt in the 1950s. 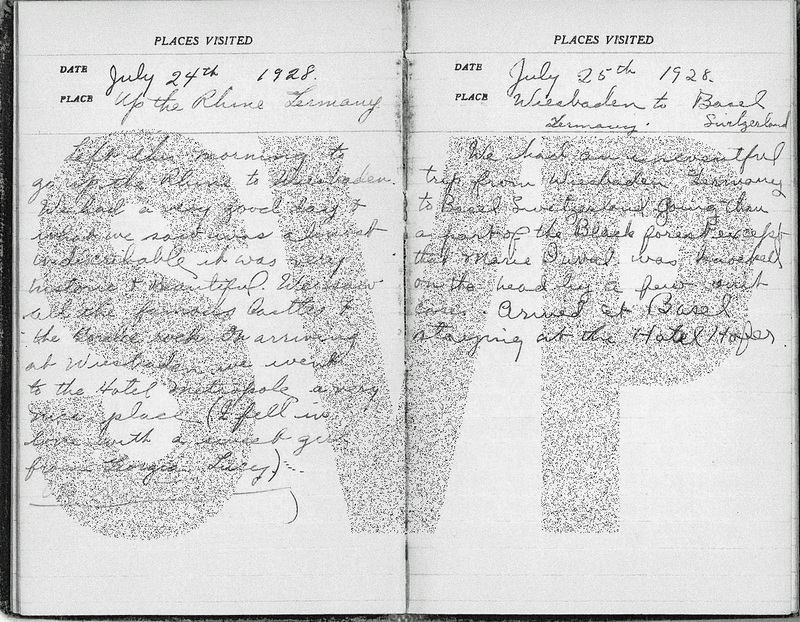 For more about Paddle Steamers past and present, check out: paddlesteamers.info.